Cold-callers trying to sell pensions could be banned by next summer if the government takes action now, a group of MPs has demanded. Members of the Work and Pensions Committee said that otherwise, the ban may not happen until 2020. The MPs want the government to include the measure in a bill, which is before Parliament. At least £42m has been lost to pension scammers since 2014, according to the City of London Police. Many fraudsters make their first approach to consumers by phone and subsequently persuade them to move their savings to unregulated pension schemes. Such schemes include diamonds, forestry, overseas property developments and store pods. Savers have lost an average of £15,000 each in such investments. The chancellor first announced a plan to ban cold-calling in last year's Autumn Statement. However, the idea was dropped ahead of this year's general election and then failed to make it into the original Financial Claims and Guidance Bill. 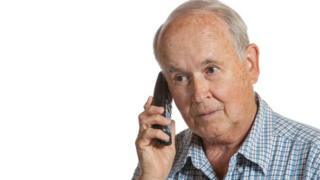 The MPs said a ban on cold-calling would not stop all pension scams, but it would be an important preventative measure. "Every day that passes without a ban, people are being avoidably conned out of their life savings," said Frank Field, chair of the committee. "There is no need to overcomplicate this: our proposal would see an enforceable ban in place by summer, closing at least one door on rafts of scammers at a stroke." The House of Lords has already amended the Bill, to empower the forthcoming Single Financial Guidance Body to recommend a ban. However, that would still mean waiting over two years for any effective action. "People's life savings must not be left vulnerable to scammers and con artists," said Yvonne Braun, policy director at the Association of British Insurers. "With mortgages already protected by a cold-calling ban, it is high time pensions were given the same level of protection. Further measures to prevent fraudsters switching to spam emails and texts will also be important," she said. However, Tom McPhail, head of policy at Hargreaves Lansdown said a ban on cold calling would "have to be policed and avoid interfering with legitimate business activity".